Make each month memorable with seasonal material! Need seasonally inspired lesson plans? Here you go. Get a new lesson delivered to your inbox each month! Includes Mazes, Coloring Sheets, Word Searches, Crosswords, Cryptograms, More. Three one-rehearsal Christmas pageant scripts. Printable “Names of Christ” Advent Calendar. Kids get to assemble their own advent calendar. Teach children about the full miracle that is the Nativity story with these 4 engaging lessons! 10 Printable Christ-Cenetered Crafts that Kids can Gift! Great for home or church. Print out our ornament templates and the kids can get started crafting their own complete Nativity Scene to hang on the tree! Help kids discover what Christmas is truly about by holding a “Happy Birthday Jesus” party. We provide all the fun to make it a memorable event! 3 Weeks of Lesson Plans Designed to Bring Kids on Adventure of Discovery. Students will learn of the importance of Palm Sunday, Jesus withering the fig tree, the Last Supper, Jesus’ arrest in the Garden of Gethsemane, the trial, crucifixion, and resurrection. The calendar gives kids meaningful ways to mark the 46 days between Ash Wednesday & Easter with activity ideas, sacrifice, scripture readings, & prayers. Make Jesus every child’s #1 Valentine! 10 Printable Christ-Centered Valentine Crafts that Kids Can Gift to Those They Love! 26 Bible-based activities that celebrate Mom. Help kids remember to bring God along in their backpack as they head back to school with these activities! Pack a “Scripture Snack” in your child’s lunchbox with our printable Lunchbox Love Notes. 60 Bible verses to help your child through specific childhood situations. Discover How to Turn Halloween into a Teaching Moment That Draws Children Closer to God & Helps Them Truly Understand That Being “the Light” is Far, Far Better Than Celebrating “the Dark”! Do your kids know that the very first Monsters ever were in the Bible? Mazes, Coloring Sheets, Word Searches, and More with a Biblical Harvest Theme. In the Harvest Lesson Pack, we teach kids harvest lessons from the words of Jesus Himself! Includes 4 Bible-based lessons focused on reaping & sowing. Light Halloween night with Jesus using our printable treat tags! Great for Halloween night, Harvest parties, or church “Trunk of Treat” events. Discover How to Create an “Attitude of Gratitude” in Your Sunday School Class with Bible-Based Thanksgiving Object Lessons, Games, Crafts, Snacks & Songs! 10 fun printable craft projects to include Christ in your Thanksgiving celebration- a wonderful way to involve the kids! Printable Place Mats, Place Cards, Utensil Holders, Pumpkin Centerpieces, & More! 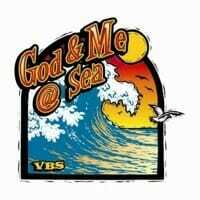 This is our newest VBS program! Features pirates, angels, and a whole lot of God’s Love. Includes everything you need to make this year’s VBS the most memorable one yet! Discover how to run an “A+” rated VBS program your kids will love… on a tiny shoestring budget! Complete 5-day VBS program includes skits, crafts, games, snacks, and activity labs for preschool to 6th grade. 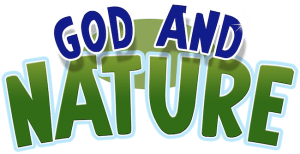 Six Summertime lessons that demonstrate God’s hand in nature using rocks, water, flowers, seeds, soil, and more! 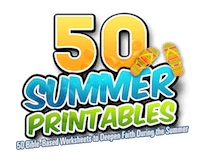 Mazes, Coloring Sheets, Crosswords, Journaling Worksheets and more with a Biblical Summer Theme.